Lyons-Alvarez stated that just because Minaj hasn’t explicitly laid out of her plans to contribute onlune, doesn’t mean that she has not been working behind the scenes. 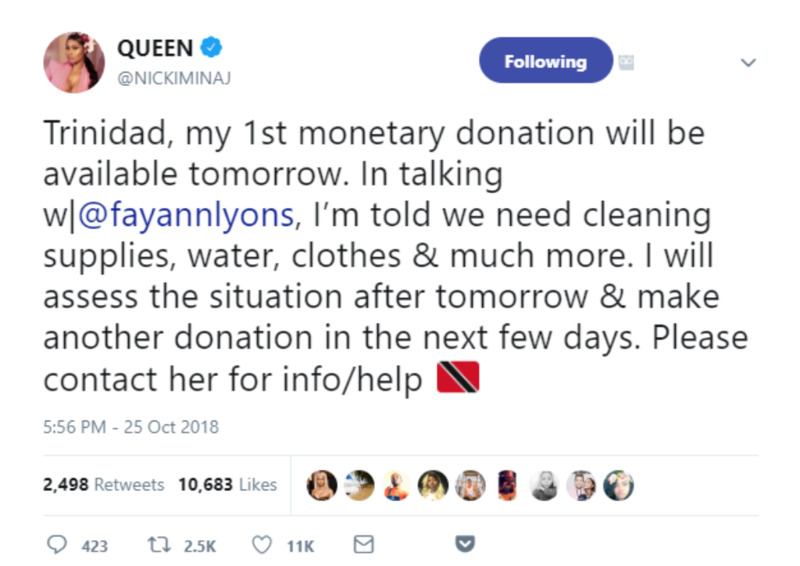 She indicated that unfortunately during a time like now with everyone trying to donate, there is always the risk of fake organisations trying to use Minaj’s name to entice people to donate. 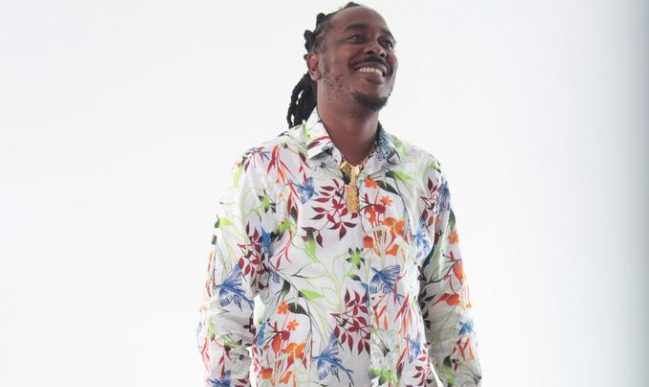 When asked if Nicki would be visiting Trinidad soon, Fay-Ann said while it did come up in conversation, she couldn't confirm, stating that the rapper had several contractual obligations to fulfill. "We did discuss her interest in visiting but keeping contractual arrangements in mind, she can’t just pick up and leave, that’s something people need to remember about being in a position like hers. 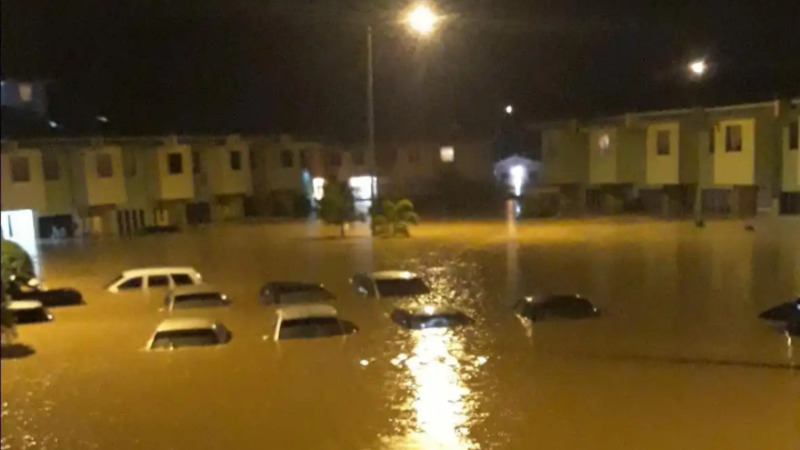 In the absence of not physically being here, she reaches out to people on the ground in Trinidad to further advise her as to how exactly to help." 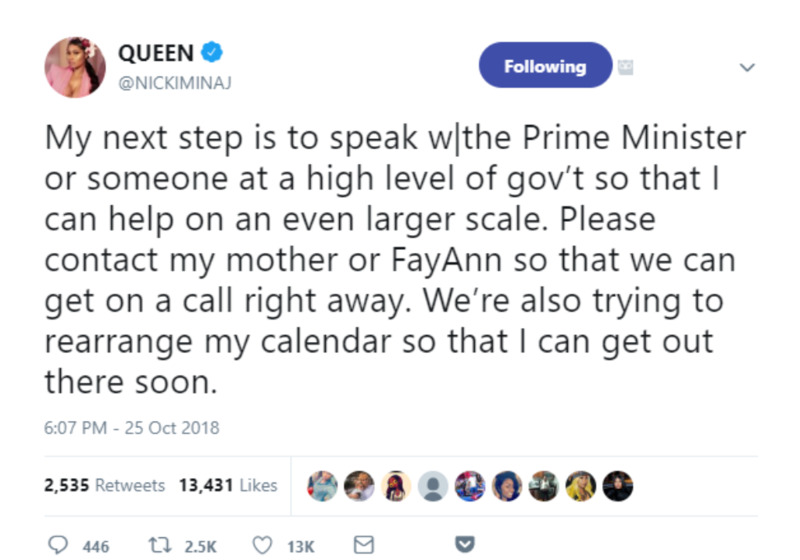 There has been no confirmation to date on whether Minaj has reached out to Prime Minister Keith Rowley or anyone in his Cabinet.